Contributed by | Zimmer Group US, Inc. The smell of metal cuttings and cooling lubricants is in the air: In the machining department in Hall 10 of the Augsburg-based automation specialist KUKA, raw parts are machined, deburred and prepared for further processing in robot production. Fig. 1: Connected in the cloud: Robot cell for two Heller machining centers in a KUKA factory building in Augsburg, Germany. The future has already found its way into KUKA's production: With the fully automated, networked robot cell—into which two Heller machining centers are integrated—KUKA connects the worlds of the analog and the digital, bringing the Internet of Things to life. A look into the cell: The two Heller machining centers are integrated into a smart production cell, networked with an IoT-platform, and a robot for high load capacities from the KR FORTEC family is centrally mounted on the KL 1500-3 linear unit. The six-axis robot is contributing to the construction of other robots. 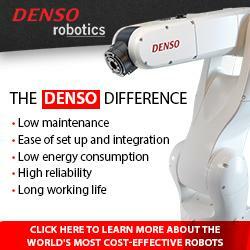 It picks up cast-iron robot components with the aid of pneumatic grippers. It uses a large pool of available grippers (called a gripper station) and selects the appropriate gripper for each corresponding work step. Then the robot feeds the cast-iron components to one of the two Heller machining centers to be machined. There, the components are drilled and milled. In the outer position, they are deburred by the robot and then removed before being forwarded to quality inspection. In order to be able to supply the two machining centers from a total of four feed stations, the robot is installed upon a KL 1500-3 linear unit that is approximately ten meters in length. The robot has been running with short cycle times as of January of 2015, and has since been processing base bodies, arms and carousels for the construction of new industrial robots on a daily basis. In order to be able to master these tasks, the KR FORTEC relies on a spindle with tools and various grippers from the Zimmer Group, headquartered in Rheinau, Germany. 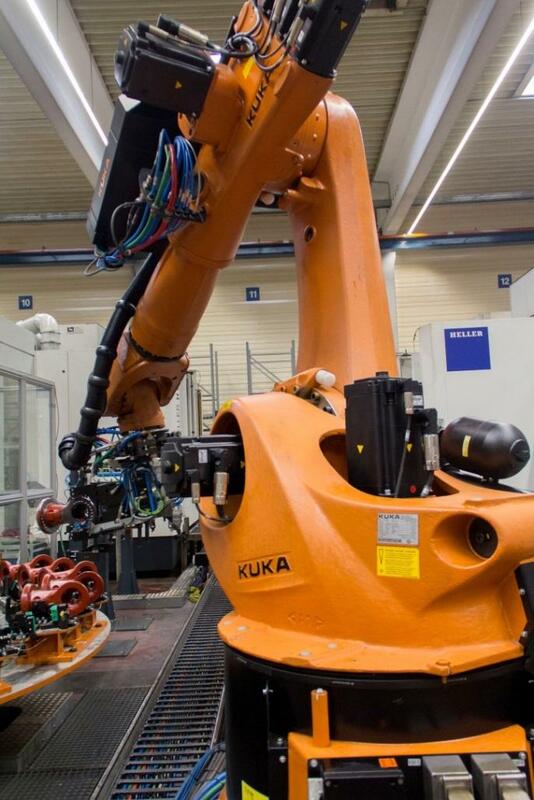 A variety of factors motivate KUKA to use grippers from Zimmer Group for their handling tasks. “We have already been successfully working together with Zimmer GmbH for many years in a number of different projects,” says Harald Müller, Project Manager in the Control Engineering department at KUKA. “During the planning stages for the automation of two CNC machining centers in our machining processes, we decided to go with the gripper technology by Zimmer. Zimmer has already won us over primarily with its problem-solving approach having to do with robot loading for automatic tool handling and self-centering clamping devices. The understanding of the system in its entirety and the competence Zimmer brings to the table were further crucial aspects that led to the decision. Not least importantly, the price/performance ratio was correct,” adds Müller. Figure2. A Zimmer gripper, while gripping a robot component into the KUKA production cell. The majority of the grippers in the cell are mechanical components (pneumatically driven). These are activated by means of one of the 5/2 directional valves in the in-line wrist. In addition, inductive sensors have been installed which detect the current state of the gripper (open; closed). 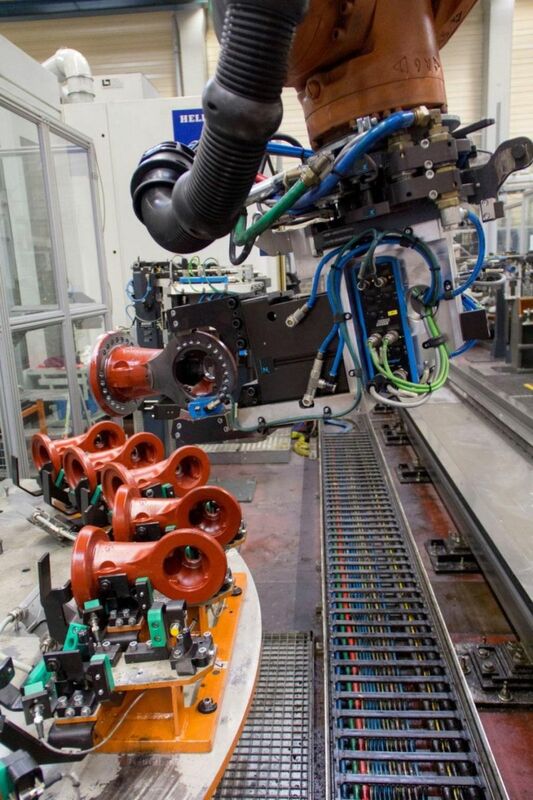 Furthermore, an optical control component was integrated in order to be able to determine whether the robot has picked up the workpiece correctly. KUKA now goes one step further and connects the grippers with the digital world by networking all of the involved components both with one another and with the cloud. 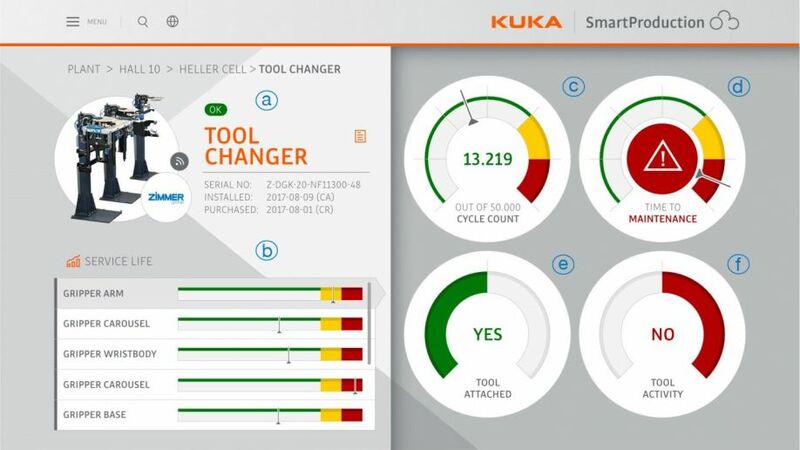 This means that not only are KUKA products integrated into the SmartProduction environment, but all active components of the cell are integrated as well. The data is collected in the KUKA Connectivity Box, then forwarded to the cloud. Services such as authentication, data processing, predictive maintenance and event evaluation take place in the cloud. A dynamic informational graphic (Fig. 3) displays an example of how all of the Zimmer tool changer data is presented in a clearly arranged dashboard. In so doing, machine operators, maintenance and management have the full overview and complete control over this part of the production process at all times and at any location. The status tile (a) provides general information about the system and gives an overview of the system status. The operating time tile (b) provides an overview of the status of service and precise maintenance information for all grippers. The preventive maintenance instrument (c) counts the exact number of cycles for each tool. The maintenance instrument (d) displays the runtime services that are specified in the technical manual. The two last tiles display if the tool has been gripped (e) and whether the gripper is still active (f). Fig. 3: A dynamic informational graphic displays all Zimmer tool changer data in an easy-to-read dashboard.